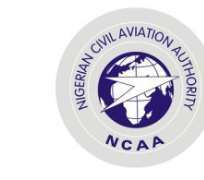 The Federal Government on Monday approved the appointment of five new Directors and one General Manager for the Nigerian Civil Aviation Authority, NCAA. NCAA made the announcement in a statement issued by its General Manager, Public Affairs, Mr Sam Adurogboye, in Lagos. Adurogboye explained that the appointment was with immediate effect. He said that those appointed were Capt. Edem Oyo-Ita as Director of Air Transport Regulations, Mr Abbas Sanusi; Director, Human Resources and Administration, Adamu Sani; Director of Finance and Accounts. “Others are Odunowo Tayyib Adetunji, Director of Aerodrome and Airspace Standards, Mr Ita Awak, Director of Airworthiness Standards, Lawrence Kwajok, General Manager, Air Navigational Standards,” he said. The federal government on Friday sacked all the directors in the agency. The sacked directors were Salawu Ozigi, Joyce Nkemakolam, Aba Ejembi, Emmanuel Ogunbami, Benedict Adeyileka, Justus Wariya, and Austin-Amadi Ifeanyi.